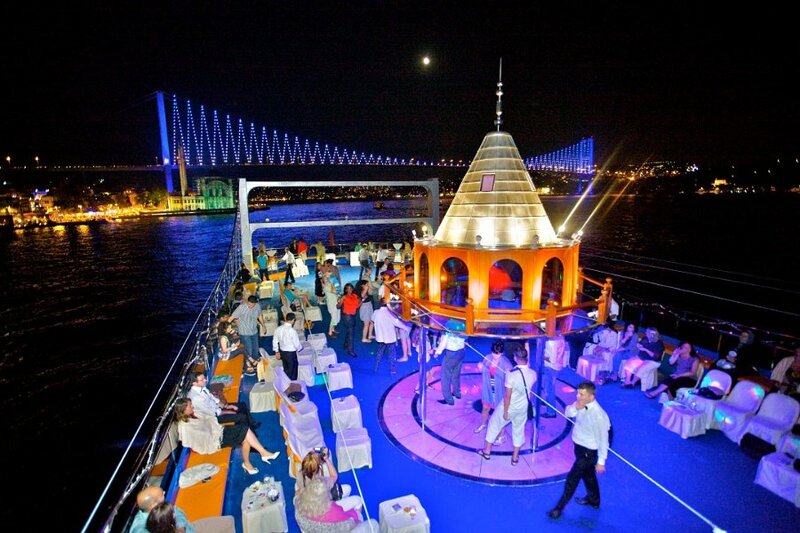 Don’t miss the opportunity to experience dinner with unlimited local drinks and a Turkish night dance show as you cruise along the Bosphorus in the moonlight. Depending on the time of year, you may even be lucky enough to enjoy the beautiful sight of the sun setting over Istanbul’s domes and minarets as you cruise along. You’ll be picked up from your Istanbul hotel and transferred to the boat for boarding, where you will enjoy some tasty Turkish cuisine. The folk dance show including belly dancing starts after dinner is served. You’ll be mesmerized as you watch the dances show which showcases traditional Turkish dances and music from the different regions of Turkey, complete with traditional costumes. You will be dropped back at your hotel at the end of the night.